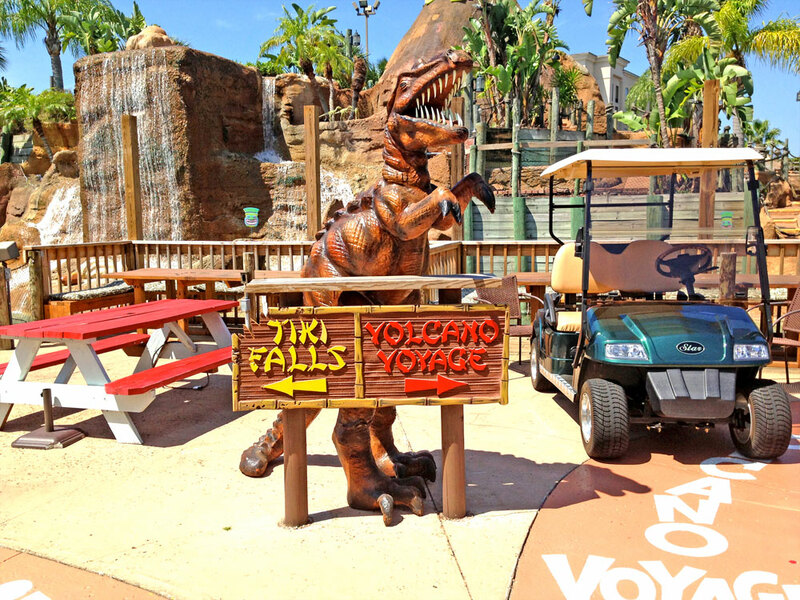 This mini golf range will take you back to the prehistoric age when dinosaurs roamed the planet. 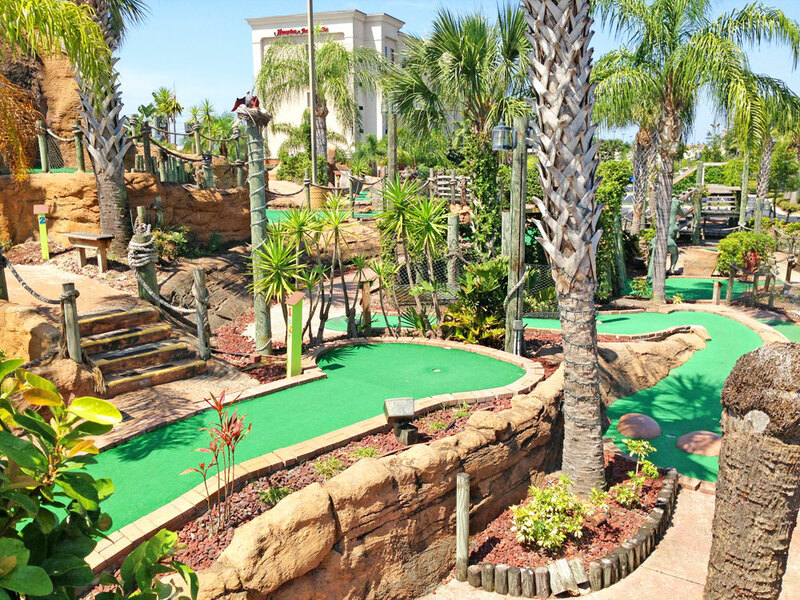 See waterfalls, streams, oasis greenery and massive dinosaurs as you putt through two 18-hole courses. You can choose the par 45 course with stairs, or the one level par 41 course. Their signature volcano erupts with fire every 15 minutes, and the course leads you through rocky caves. 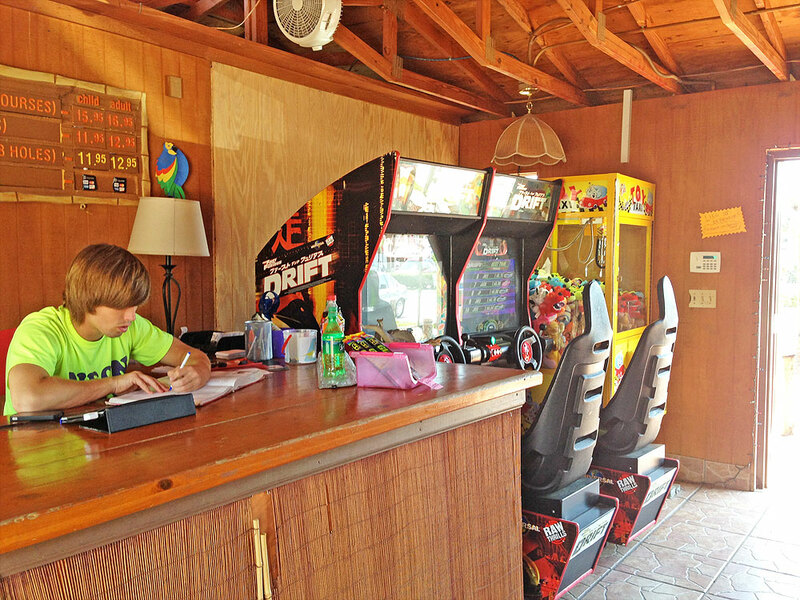 Volano Island Mini Golf also has an arcade on site, picnic area, and they serve up smoothies. Call about group rates whether it's for a corporate event, birthday party, or other private gathering. 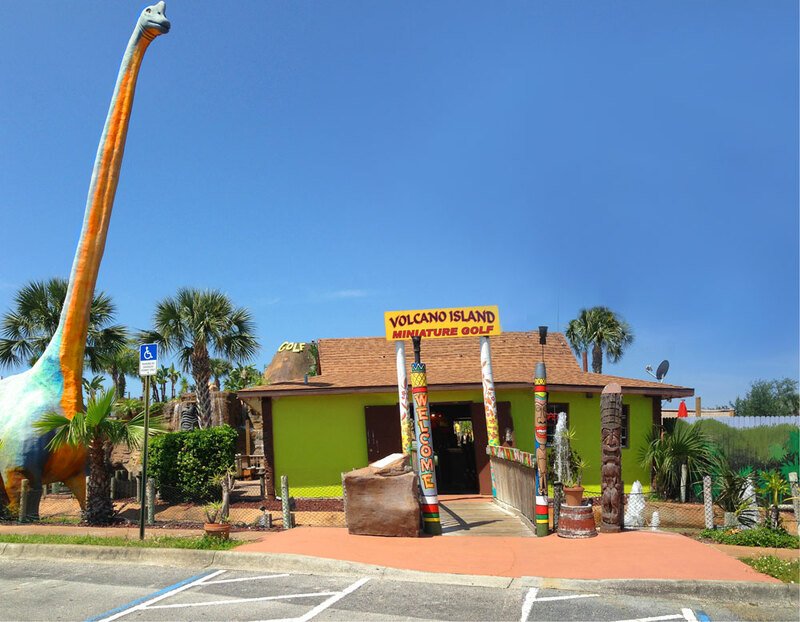 Volcano Island Mini Golf is located on I-Drive back behind the Dunkin' Donuts.